Of course he has often played music with Bono since Bono (a magnificent hustler as he calls him) got him involved with helping good causes. Gabriel has always surprised artistically – and in his TED talk this week (as part of a group talk) he spoke about how he plays music with animals – including bonobo monkeys. Here’s a link to the TED blog that tells you more about his playing with a bonobo and his desire to play with dolphins. He talks about how he plays with musicians from around the world who do not speak the same language – and yet connect through the language of music. He believes there can be similar musical connections with animals. His talk was part of a group discussion about inter-species communication. Here’s part of the TED blog: thought provoking! “I make noises for a living, and on a good day it’s music,” says Gabriel. He has always looked into the eyes of animals and wondered what is going on inside their heads, he says, soe excitedly read about research, like Reiss’, examining communication with animals. So Gabriel started cold-calling scientists to see if he could be a part of this work. His goal: To try writing music with an animal. And he got his chance. In a video clip that raises oohs and ahhs from audience, Gabriel shares a video of a bonobo with a keyboard. While bonobos had been introduced to percussion instruments before, and bashed them with their fists, this was the first time this bonobo had ever seen a keyboard. And with accompaniment, she played truly amazing music. 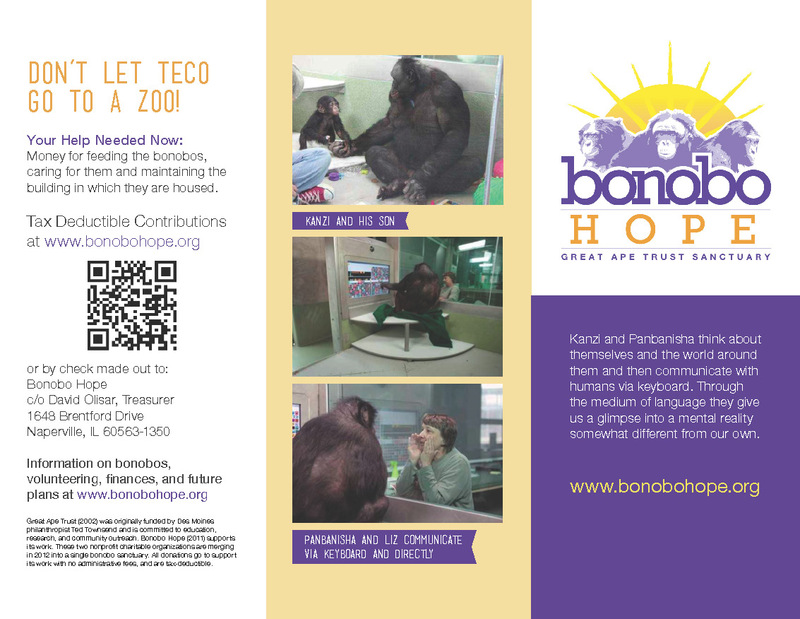 Here’s a link to his project Bonobo Hope – to help save bonobos. Of course he also does lots of work to help people fight human rights abuses through a project called WITNESS which equips people with cameras. I guess I’m still a sucker for that 80s optimism that Bono and Gabriel (and Sting and Geldof) represented. It’s g0od to see these now mature musicians on a mission are still dedicated to their causes. If you’re interested in finding out how YOU can borrow from the speaking techniques of Bono and Peter Gabriel – here’s an earlier post about how to use the power of words to move people! Also, if you’re curious to know more about: What is a bonobo? Hi Fuzzbee – great to connect. So cool you are still in contact with Peter Gabriel and Bono. The bonds you make in the early years often endure. What a great moment in history captured in your photo. Do you live in California now? Yep, based in California. 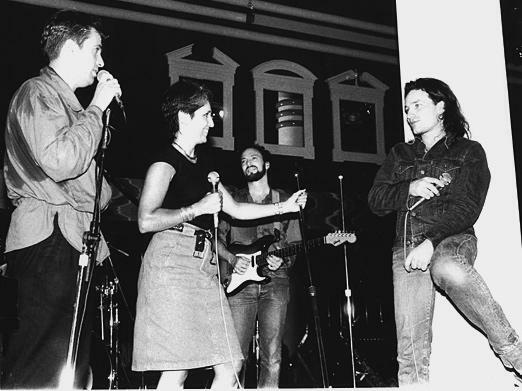 That photo is from an “off-duty” jam during the Amnesty tour. We took over the nightclub in our hotel for a few memorable nights in Atlanta. You never forget great moments of connection with people, be be it musically, through deep laughter or whatever medium. That tour was off the map!